Back in the early 90's, when my dad, brother, and I followed Sangamon State University soccer, we would take road trips down south to experience the NAIA National Tournament. This was a huge deal for us, as it basically represented our annual family vacation; however, we didn't lay on a beach or be tourists like most families -- we gleefully watched sports for twelve hours a day. It was the time of our lives, and I mean that genuinely. In San Antonio in 1993, I saw what still ranks as my favorite live sports moment of my life when the Sangamon State Prairie Stars defeated Lynn University 4-3 in sudden death overtime to capture the school's third national championship. The game was back and forth and dramatic, filled with "can you believe what just happened?" moments. When it ended, a hometown kid from Springfield, Illinois, John Lochbaum, was the hero -- he booted the winning goal on a volley. My brother and I rushed the field and found my uncle, who coached the team. 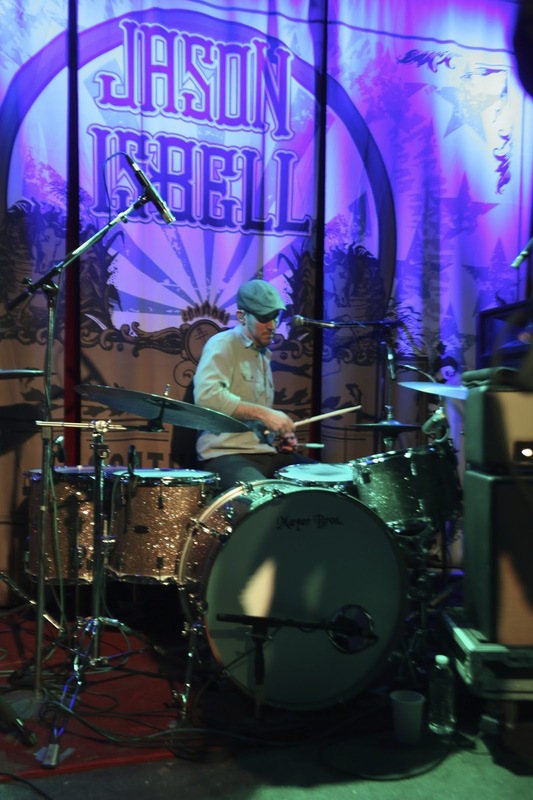 There is video of this somewhere, but I prefer to play it over again and again in my mind, where the memory feels right. In 1994, they moved the national tournament from San Antonio to Mobile, Alabama, and I remember three things from that trip: walking on a battleship and in a submarine; my dad getting pulled over for speeding and, coincidentally, resting the car exactly next to a case of empty beer cans -- my brother and I were dying laughing when my dad tried to explain to the officer that the mess on the side of the road was NOT of our doing; and, finally, gazing at the Alabama pines for the first time. 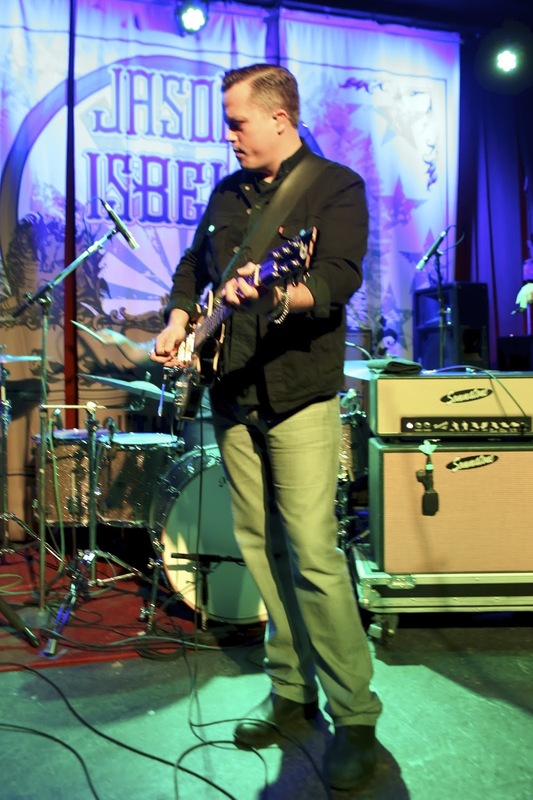 Ah, yes, those Alabama pines. 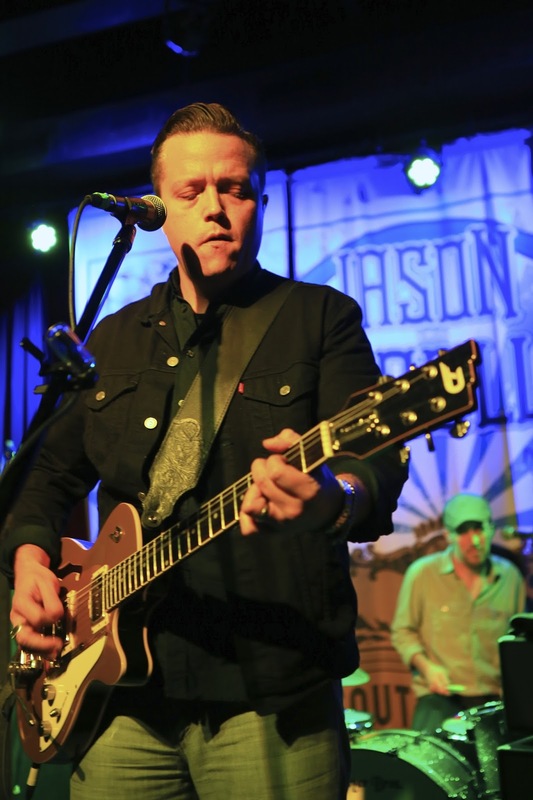 Of course, Jason Isbell, an Alabama native, wrote a song about them, and he played it last night at Off Broadway in St. Louis (and also the night before at Plush). I can vouch for their beauty -- they are welcoming, amazingly tall, and I'm sure if I ever went back to Alabama, they would feel like home. 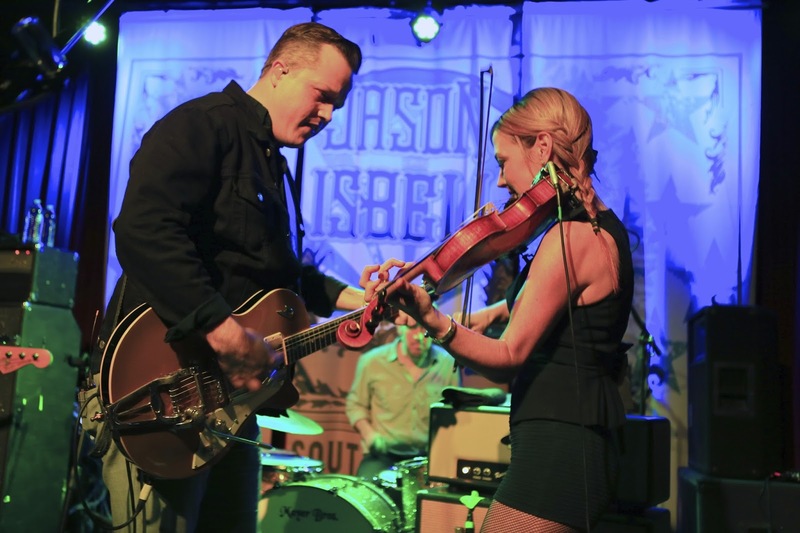 Isbell played the song with the 400 Unit, and an unofficial member of the band -- his wife, Amanda Shires of Lubbock, Texas, who sings sweetly and plays an aching fiddle. 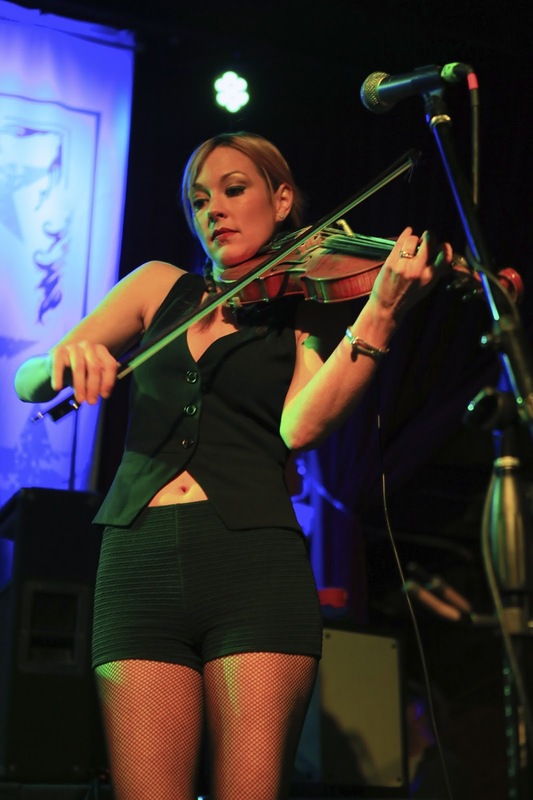 Her presence would touch ever corner of the performance -- she added a colorful solo to the devastating "Elephant," sang with Isbell during a stark cover of Warren Zevon's "Mutineer," and gave "Traveling Alone" new light -- as Isbell is, obviously, no longer on the road solo. 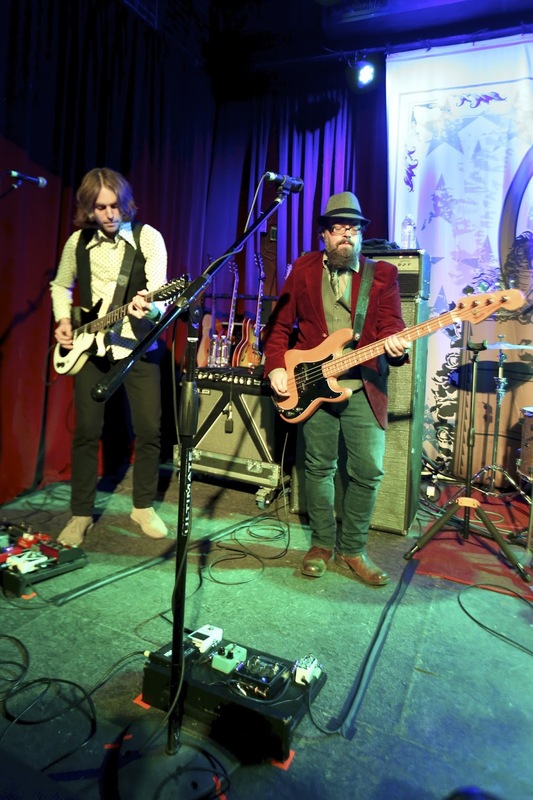 The two-hour performance was powerful from the start with thundering versions of Here We Rest's "Go It Alone" and Southeastern's "Flying Over Water." 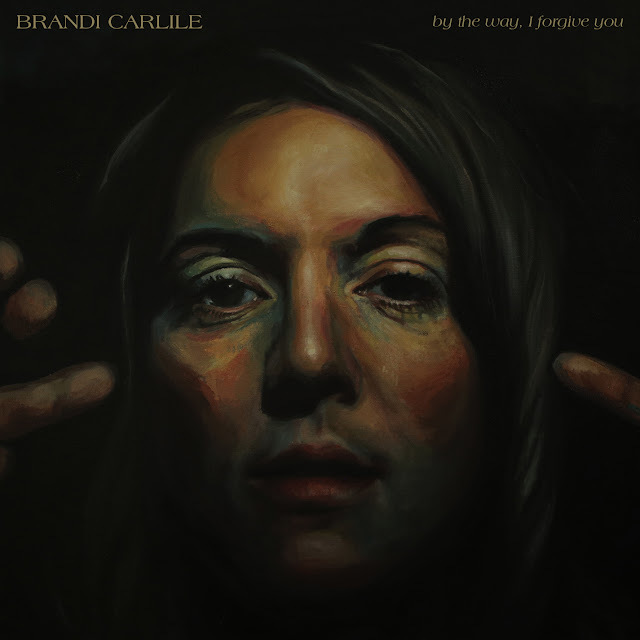 "Did we leave our love behind?" 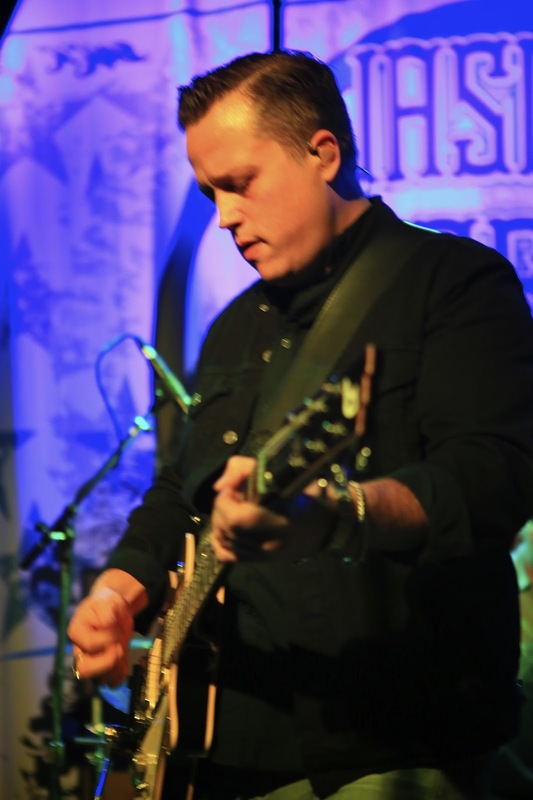 Isbell sang before ripping into a lengthy solo that would gather electricity and provide a template of consistency for what was to come. 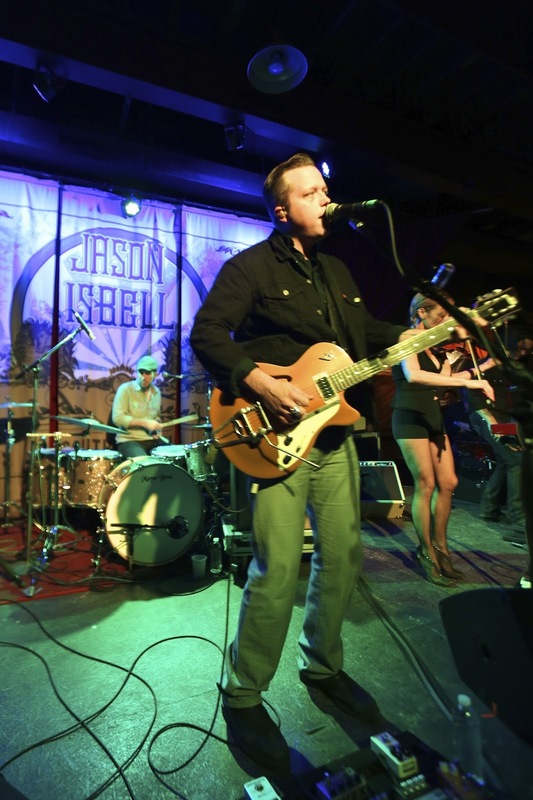 If you've listened to Southeastern, you know the bulk of the charm of Isbell's music these days is not his rougher Drive-By Truckers side, but his reflective and quieter state of mind. 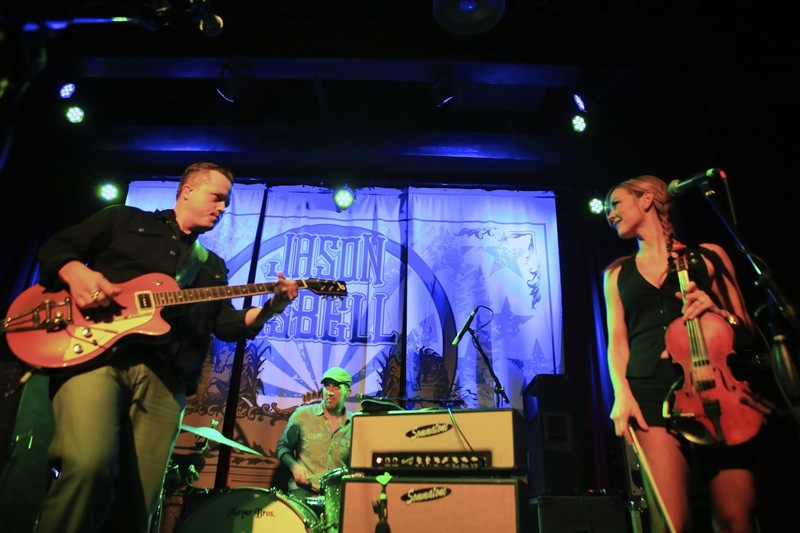 He showed this during "Live Oak," which began with just his voice,"Songs She Sang In The Shower," "Different Days," and the standout "Cover Me Up," which drew cheers when Isbell sang, "I sobered up, I swore off that stuff forever this time." 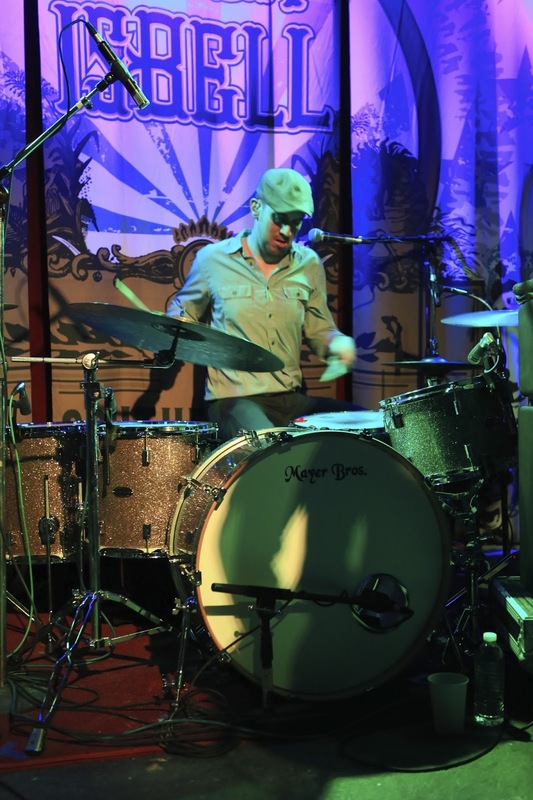 He remarked to the audience that the neighborhood around Off Broadway seemed "safer than before," and joked that during his day off in St. Louis he "didn't leave the hotel room." 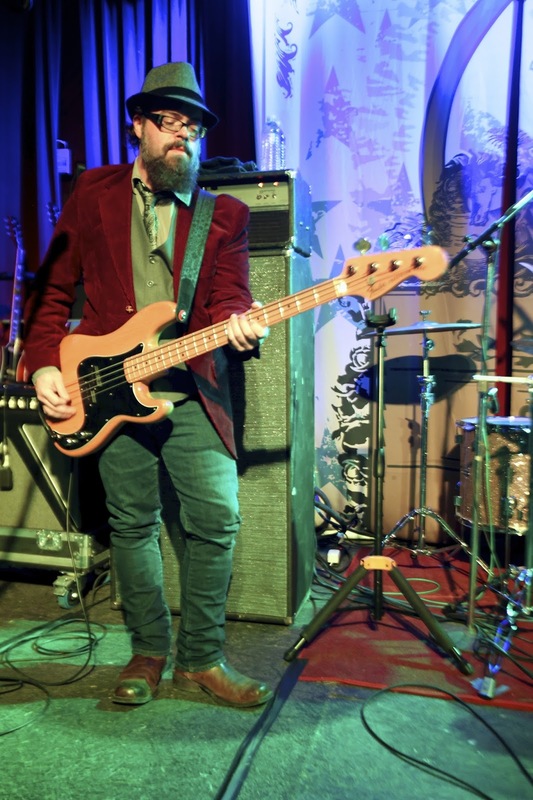 His playful side again appeared after a false start of "Codeine," when he and keyboardist Derry deBorja gave Shires a hard time for flubbing the opening. 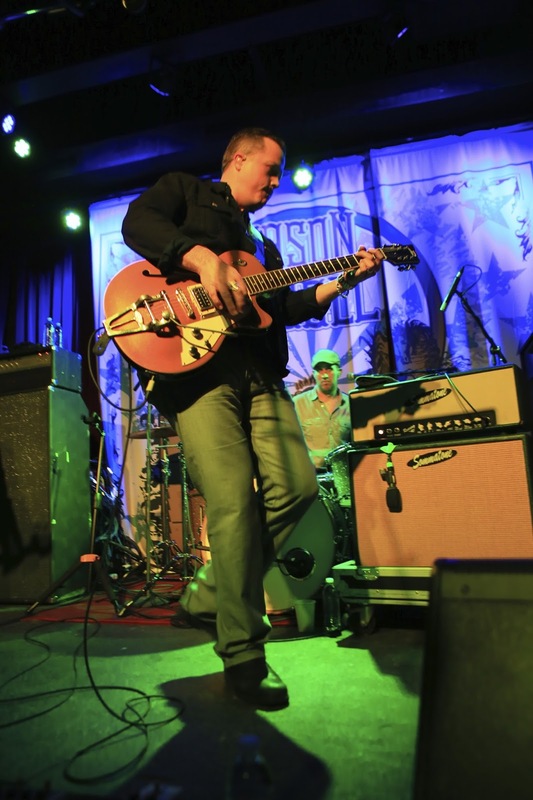 Isbell concluded the main set with "Never Gonna Change" and "Outfit," two songs he wrote during his time with Drive-By Truckers. 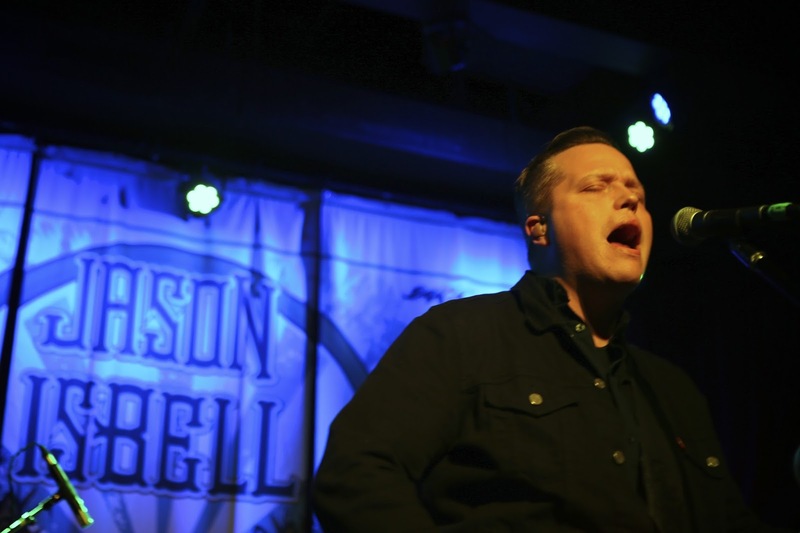 "Don't tell them you're bigger than Jesus, don't give it away," Isbell sang near the end of the latter. 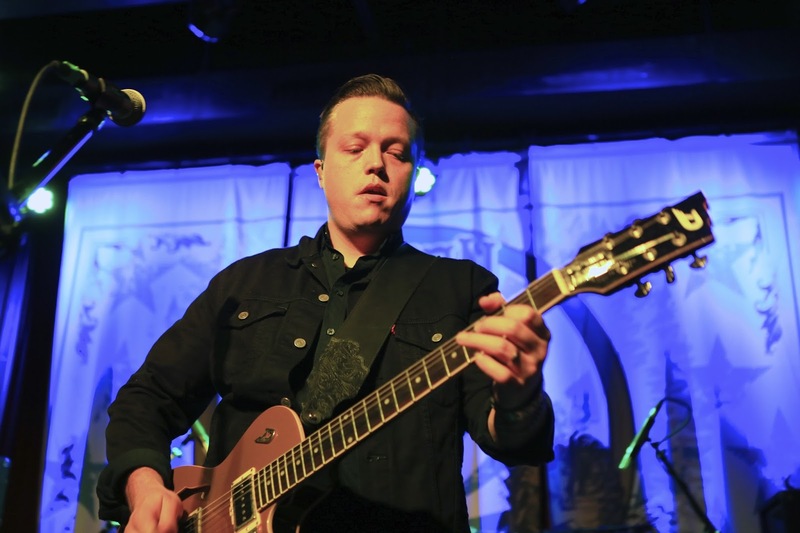 These days, clean and sober, Jason Isbell is standing tall, shining like an Alabama pine in the sun, giving every ounce of what he has left from a tank that appears full of new life.